Umbrella coverage, also known as personal catastrophe and liability coverage, covers just that - catastrophes. We are often concerned with losses involving ourselves or our own property. However, more often than not, the most costly losses occur when we are held responsible for someone else's loss - for example, the car accident that seriously injures someone and leaves them with a lifetime of medical bills, or the accident in your swimming pool that results in serious injury to a neighbor's child. Fortunately, these kinds of losses don't happen often, but they DO happen. Umbrella policies help to protect your family against financial devastation when these tragic losses occur. Umbrella insurance, or Personal Catastrophe Liability (PCL) policies, can provide both liability coverage that extends beyond the liability limits on your home and auto policies and additional coverage for losses that are not covered in your existing policies. PCL policies are most often in the amount of $1 million or more, providing additional liability coverage for you and your eligible family members against lawsuits arising from personal injury or property damage claims. Policies typically cover legal fees and financial responsibilities in excess of your underlying home and auto policies. Let's face it: We live in a lawsuit-happy society. When devastating losses occur and you (or your kids) are even arguably to blame, you may be held responsible. 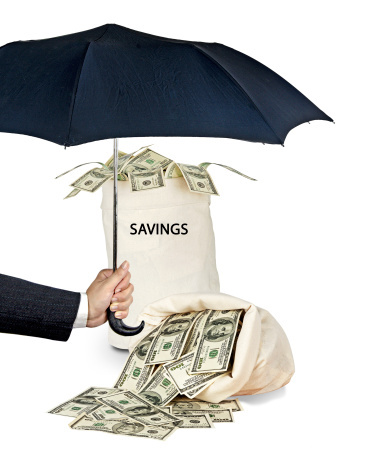 Regardless of the size of the assets you wish to protect - whether you are just getting started in your career and saving to buy a house, or you are nearing retirement - the premium for umbrella policies is much less costly than defending, let alone losing such a lawsuit. While everyone should consider the protection of an umbrella policy, there are some people who are relatively more vulnerable to large losses. People with significant assets or high income(s) are often an appealing target for lawsuits. Landlords should also protect themselves against losses that may occur on their property. Purchasing an umbrella or Personal Catastrophe Liability (PCL) policy, can offer you a higher level of financial security. For a relatively small cost, large financial losses and legal fees can often be avoided.